With amazing winter activities, Breckenridge, Colorado is a favorite to those who love to ski, go snowmobiling, snowshoe, or go sledding and tubing. Breckenridge is also home to the Dew Tour in December, Snow Sculpture Championship, Fire Arts Festival and Ullr Fest in January. Explore miles of cross-country skiing trails at the Breckenridge Nordic Center or enjoy the views with a hot cup of cocoa on a sleigh ride. At the end of a big day on the mountain, wind down in the private or common area hot tubs or cozy up by the fireplace with your loved ones. 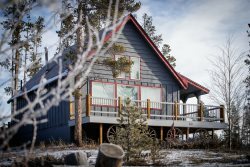 With all the fun activities and events that Breckenridge has to offer, it is a winter vacation you can’t miss!